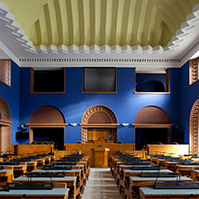 At the opening of the Riigikogu autumn session, the President of the Riigikogu Eiki Nestor and the President of the Republic Kersti Kaljulaid made speeches. In his speech, Nestor discussed the activities of the Riigikogu, the upcoming elections, and issues relating to state reform. 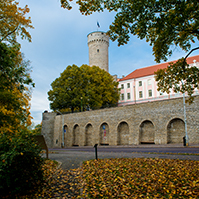 Nestor noted that they were starting the last six months of the 13th Riigikogu in full knowledge that the 14th Riigikogu of the 100-year old Estonia would be elected in March the following year. 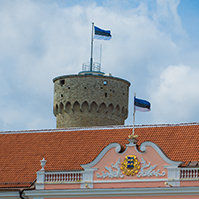 “In other words, Estonia is a free and democratic state with a fully functioning and balanced Constitution. Where, despite everything, there are more smiling people who sing to their country than those who sulk and scowl. Where people know how to become free and take life forward, but where we have also not forgotten how freedom can be lost,” Nestor said. Nestor highlighted that it was known that, in the run-up to the elections, the messages of the parties became more animated, but also shorter. “This happens here and abroad, so I guess it’s just the reality we have to deal with. I call on you to explain your principles and the basics of democracy within our current Constitution even outside the election campaign time. This might in some way ensure that we would all be understood better. Maybe it would become clear that, next to our personal daily tasks, we all also have a more long-term vision of Estonia’s future,” Nestor said. In Nestor’s opinion, he would definitely not be applauded for his view on the state reform, quite the contrary. “My fellow Estonians, this Riigikogu has not been appointed by the President of the Republic or the Board of the Riigikogu. You elected it in 2015. You will elect the next one in March 2019. 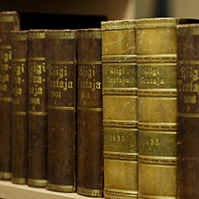 All proposals on the state reform that reduce the competences of the Riigikogu also actually reduce the rights of the voters. There is always the need to make decisions in a country; it is your choice whether these will be done by the people you have elected and authorised, or someone else,” the President of the Riigikogu said. 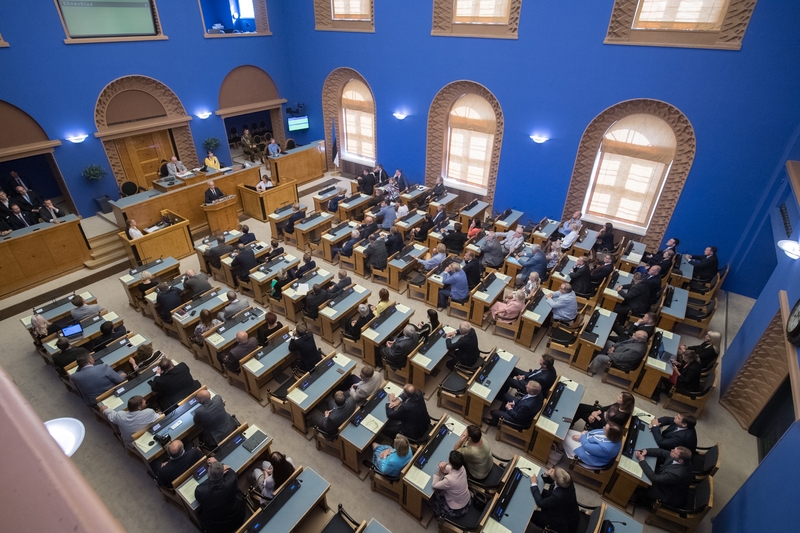 He underlined that the balance found in the Constitutional Assembly between the Riigikogu, the President of the Republic, the Government, the Supreme Court, the Chancellor of Justice and the National Audit Office had functioned well so far. “We have not suffered a so called constitutional crisis. We must avoid creating even an opening for such a crisis during the reform,” Nestor emphasised. 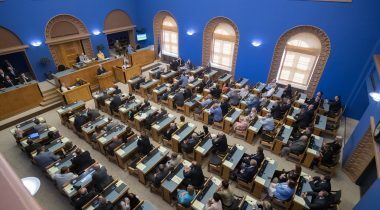 “The Riigikogu can fulfil its duties if it is an assembly of individuals who have been authorised to do this 24/7 by the people. A democratic system of government is a benefit that requires at least the same level of protection as clean drinking water. 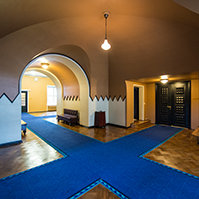 Yes, looking past this can bring a momentary gratification, but also years of walking down the wrong path,” the President of the Riigikogu said. In her speech, Kaljulaid stressed the importance of the work of the Riigikogu and the responsibility of the Riigikogu in making decisions. 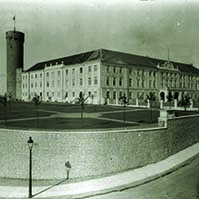 The President wished the Riigikogu fortitude both for refreshing the wallpaper pattern and for the work to build a higher superstructure. “An election year is also time; the same kind of time we never have too much of. It is a time to offer schoolchildren that which will make them smarter and perhaps continue the work you have done here in this hall shaping our legislative space. For entrepreneurs, a time to offer them encouragement to look to physically implement their ideas in countries with a more favourable cost base, while keeping the truly productive intellectual assets at home. For scientists, to offer them what we and ambitious nations around us crave: the chance to generate such results in their work so that economic success will no longer come at the expense of the Estonian environment or the global climate,” Kaljulaid said. Mixed choir “K.O.O.R.”, conducted by conductor Raul Talmar, who performed at the opening sitting, created a festive atmosphere. During the open microphone, Märt Sults took the floor. The sitting ended at 3.41 p.m.